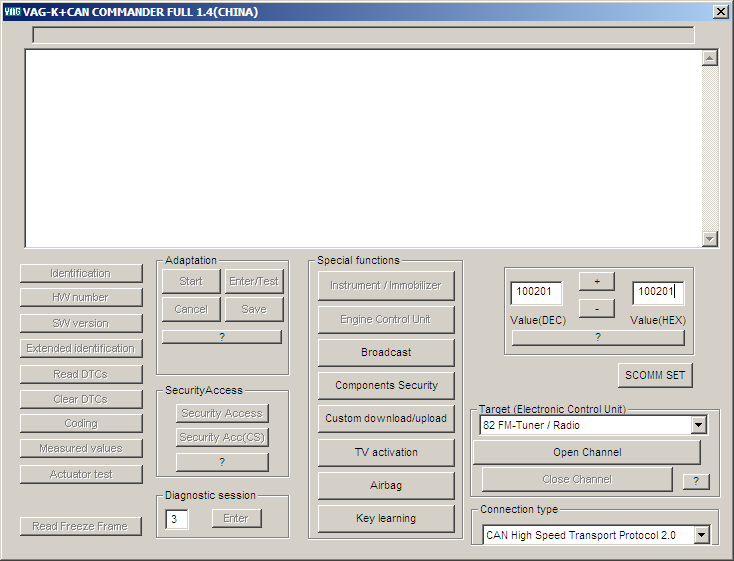 There will be 2 software folders called "VAG-K_CAN_Commander" and "VWTOOL". We will be using "VAG-K_CAN_Commander"
1. Locate the downloaded folder "VAG- 1.4" to your desktop. Use 7zip or your file extraction software and unzip the compressed folder. Run the setup to install the drivers. 2. After extracting the folder, navigate into the folder and find the main application icon called "FTDI_Drivers_Win32_64". 3. Plug the VAG 1.4 interface's USB cable into your USB port. Windows will automatically detect the USB device and detect the drivers that were installed prior. Go to Control Panel> System > Hardware > Device Manager > Ports (COM & LPT), find the "USB Serial Port" go to the "Port Settings" tab, then click "Advanced" and set the Latency Timer (msec) to 1. Press OK and OK to exit. 5. Now start the VAG+K+CAN Commander software from your Desktop shortcut. The software will identify your Interface's Port Number. It should match the Port number found from the "USB Serial Port" in your Device Manager. Look for the USB Serial Port with the Yellow ! mark. This is the VAG 1.4 interface and indicating the driver was not installed properly. Double click "USB Serial Port" and click "Reinstall Driver"
This will open the Hardware Update Wizard. Select "Install from a list or specific location"
Click the browse button and point it to the " FTDI_Drivers_Win32_64" folder within the "VAG-1.4" folder from your desktop. This folder contains the drivers in case Windows can't install them automatically.